Detailed review of Drybar Detox Dry Shampoo. See what real experts and actual users have to say about this dry shampoo. Drybar Detox Dry Shampoo is one of the best dry shampoos I’ve ever tried! This dry shampoo is very easy to apply and to control the application of the product. When I first applied it to my hair, it felt like a luxurious product from the way the powder applied, to the way it felt in my hair. I could tell I was going to like it! The powder basically melted into my hair and was so easy to use. After a few strokes with a brush, that was all I needed to do to make it look styled. My favorite part is probably the smell. I would wear this dry shampoo even when my hair was clean to make it smell that good! I also really like that the product is paraben, sulfate, and phthalate free and that it’s safe for colored hair. It also gave my hair a great amount of texture and volume to give it a just styled look. Overall, Drybar Detox Dry Shampoo works incredibly well and lasts all day. Drybar Detox Dry Shampoo looks and feels like a very dry, white pigmented powder when it is first applied. Although the powder does feel very dry, it’s also a fine powder so it doesn’t feel like it will make your hair look dry. This dry shampoo definitely feels like a high end product when you’re applying it into your hair. This dry shampoo is very easy to apply. I really like the aerosol bottle that the product comes in. It’s easy to control the amount of product you’re applying into your hair so you don’t waste any product. 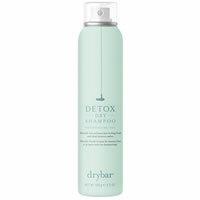 Drybar Detox Dry Shampoo is also easy to use. The product basically melts into your hair once you apply it. At first, it has the white pigmentation, but after a few seconds, the pigmentation basically blends into your hair. All I had to do to use the dry shampoo was brush it through my roots to make sure it was evenly distributed. Drybar Detox Dry Shampoo comes out of the bottle dry. The smell of this dry shampoo is by far my favorite of any other that I’ve tried. It’s a strong smell but I absolutely love it. The smell stays in your hair until you wash it out. The results I achieved from Drybar Detox Dry Shampoo were by far the best results I’ve gotten so far. This dry shampoo absorbed all of the oil and controlled it from getting oily throughout the day. Not only did it absorb the oil, but it added body and texture to my hair and made it smell delicious! This product lasts all day long. When I say that it lasts all day, it really does! I was so impressed with the longevity of this product. Drybar Detox Dry Shampoo is $23.00 for 3.5 oz, which comes out to $6.57 per oz. 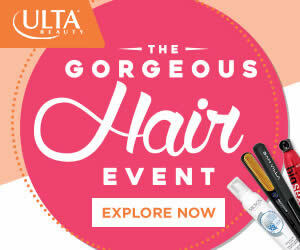 Although that is expensive for a dry shampoo, I think it’s worth it! Drybar Detox Dry Shampoo has a 30-day, 100% money back guarantee. To buy Drybar Detox Dry Shampoo, Click Here. Look and Feel Aerosol bottle delivers pigmented powder.